I ask again. Who thought it was a good idea to allow Khomeinist immigration to Canada? 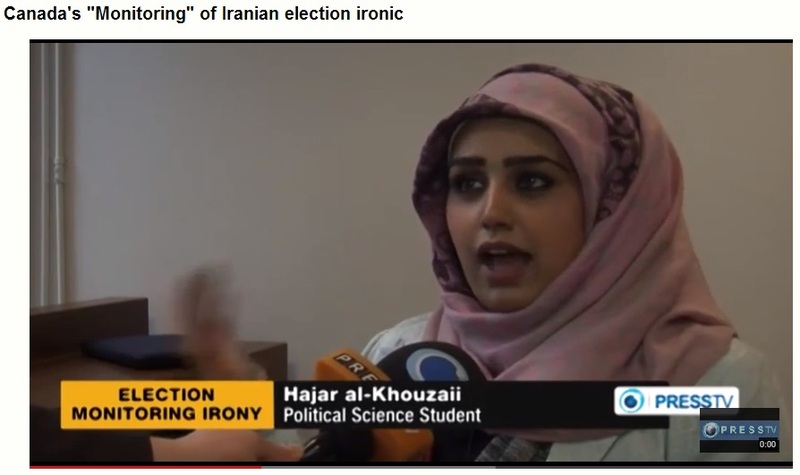 Hajar al-Khouzaii – informs us that the Canadian government is controlled by Zionists. “One would have thought that the legitimacy of elections would be the last subject Canada’s ruling neoconservatives would want to raise in public. But this hasn’t stopped the Canadian government, in collaboration with the pro-Zionist Munk School of Global Affairs, announcing that it intends to “monitor” the Iranian elections from afar.